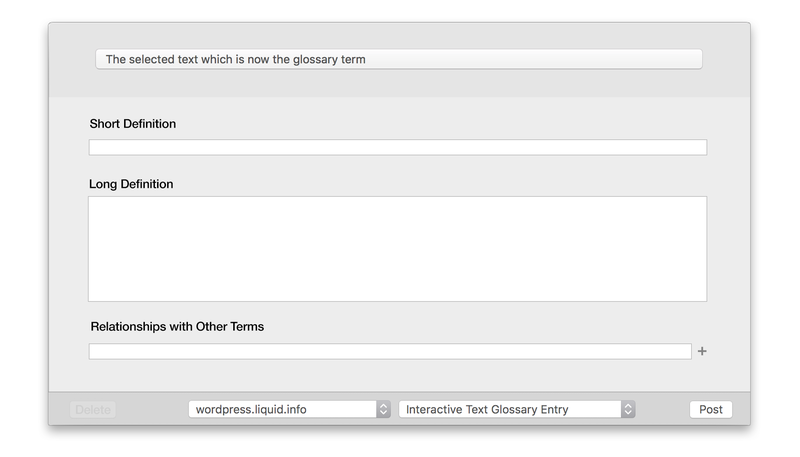 User can click on ‘The selected text…’ and add other terms which correspond, such as acronyms, with comma delineation. User can type in the Relationships with Other Terms field and the system will auto-complete with other glossary entries. What I would add : If there are typologies of terms, there should a term type. There may also be relationship types, and then available relationships will be constrained by terms. What do you mean by term type exactly?